From themed apparel to feature films, emojis come in many different forms. Now, the smiling yellow balls have even infiltrated our beauty routines. 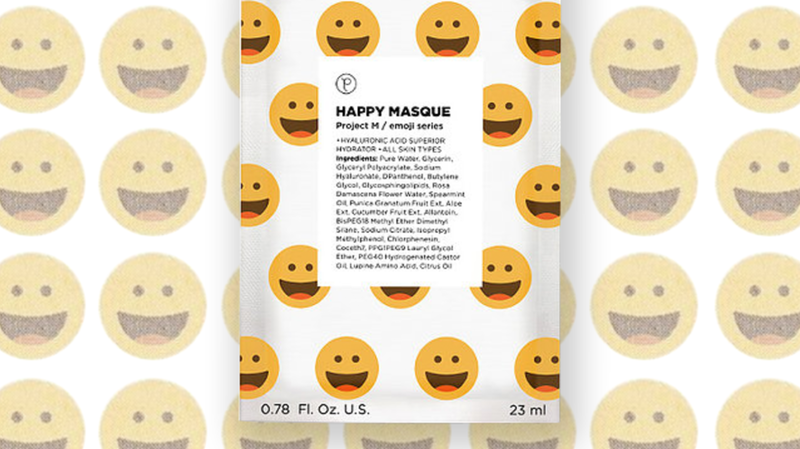 Petite Amie Skincare recently launched a new line of face masks that come plastered with the familiar designs of various emojis. The series—which includes the emoticons associated with love, screaming, blushing, happiness, sunglasses, and anger—are priced at about $10 to $12 per mask. Alternatively, Amazon has some cheaper options which are less than $20 for eight masks. Face masks may not always look the way you expect, but they can still be a welcome addition to your regular beauty ritual.